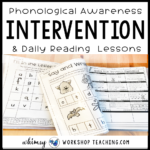 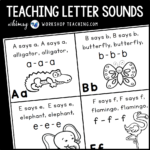 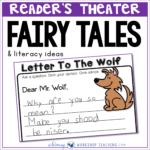 Much of our phonics instruction comes from our daily practice. 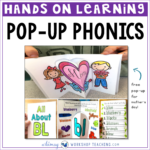 Most of the activities are embedded into PLAY. 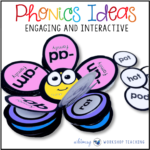 Apart from some direct full class and small group lessons (including guided reading lessons), most of our phonics practice takes place through game boards, sorting, word building and creative writing. 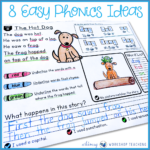 Here are some specific ways to find phonics practice happening in our classroom. 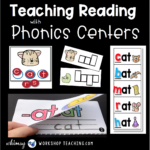 The easiest to prep, and a big class favorite through the whole year is phonics game boards.